I have to say that now that I have a reliably wonderful pie crust recipe and technique I've been looking for ways to use my new found skill. I think I nailed it with this one. Flakey, savory, crisp and just downright perfect for early Spring (today it was 18f. no, really). Oh, and it's vegan too. Heat about 2 tbsp olive oil in a skillet on medium. Add onion, celery, bell pepper, carrots, potatoes and veggie broth to the skillet and cook until the vegetables soften slightly. Then add the greens, herbs, salt and pepper. Saute until wilted. Put your pie crust in a 9 inch tin and fill it with the veggie mixture. Cover the potpie with the second pie crust and seal together the edges with a fork. Poke holes in the top crust to allow steam to escape (or carve a picture in there if you're feeling creative). Bake in the oven for 30-40 minutes, or until the top crust turns golden-brown and steam and bubbles start escaping through the top. 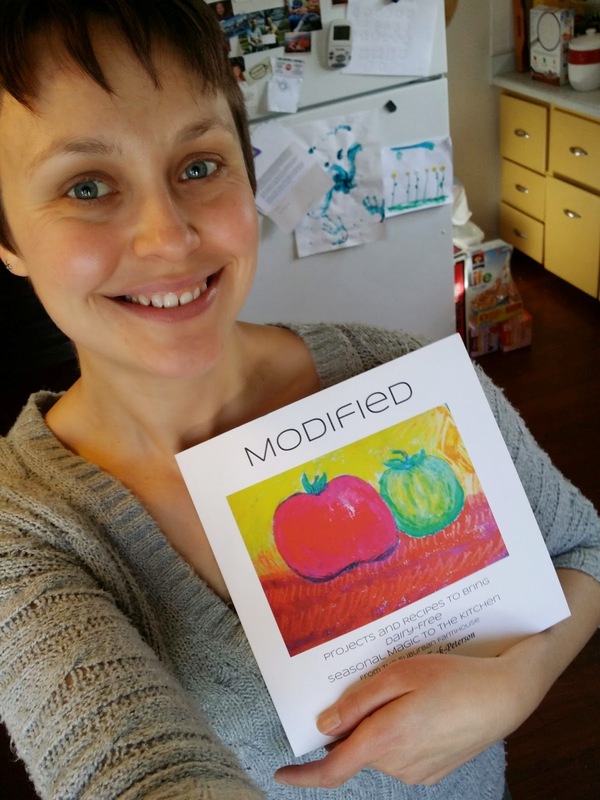 My first book has been published! Yeah, I know it's been quiet around here. But I have a VERY good reason for this. 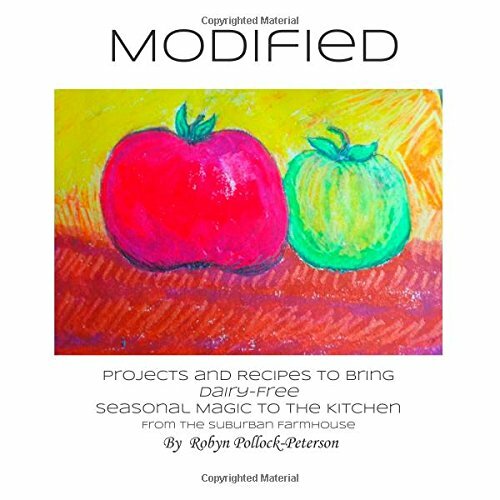 My first book, "Modified: Projects and Recipes to Bring Dairy-Free Seasonal Magic to the Kitchen" is now officially published and available for purchase. It will also be available through Amazon in a couple of days! 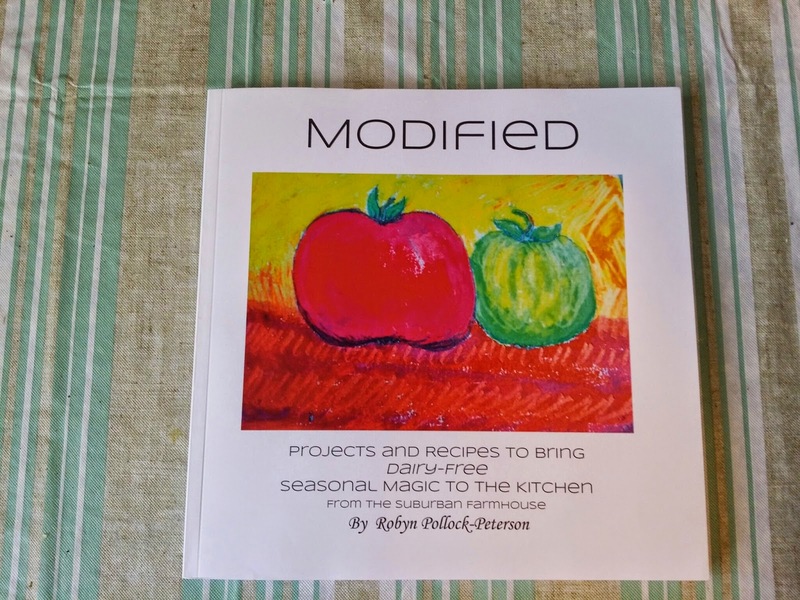 I'm incredibly excited to have my book out there in the world, but I'm also really excited to have some time and energy freed up to invest in my projects, artwork, photography, KIDS, and this blog. I have some gorgeous ideas in store for the look of the blog for this season and am thrilled to announce that I'll be focusing on "Kids in the Kitchen : A Young Family of 4 With a Full CSA Share". I'll be experimenting with how exactly to use up all the fantastic produce we are provided with weekly and highlighting the more interesting ingredients in dairy-free recipes. I also plan to dedicate some time to a candid weekly discussion regarding how I am getting my kids to identify, help prepare, and actually eat farm fresh veggies. There will definitely be plenty of cooking, fermenting, and foraging to write about and I can not wait for this harvest season to begin!! In the mean time, keep an eye out for updates to the blog, some miscellaneous recipes and ongoing fermentation projects, and SPRING! HAPPY SPRING EVERYONE!! !